Employers in the construction and project management field are looking for a stable professional with extensive employment history. Employers are looking for stable, consistent professionals who have the ability to grow and develop. 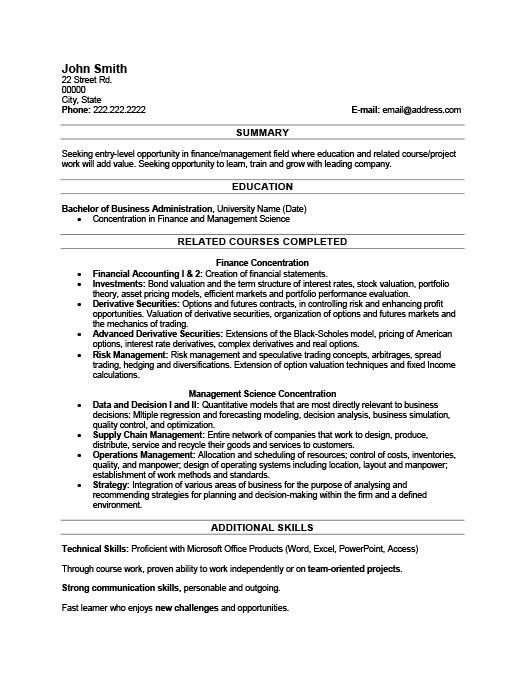 A chronological resume template can be used to highlight specific dates and places as well as relevant job titles. Chronological resumes are used to demonstrate to employers a correlation between responsibilities, accomplishments and successfully completed projects within specific time frames. 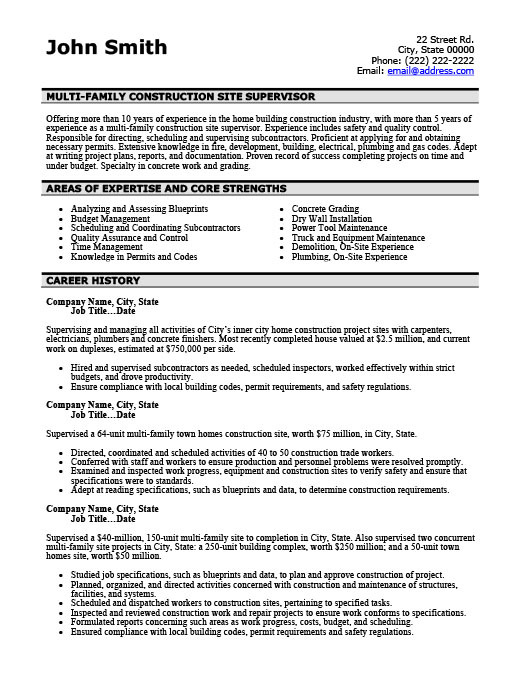 The Construction Site Supervisor resume sample below is split into six categories with employment in fields other than construction and applicable certificates listed at the bottom. The resume begins with a summary of relevant work experience, the years allocated to each specialization, and an outline of responsibilities in significant roles to demonstrate successful project completions. 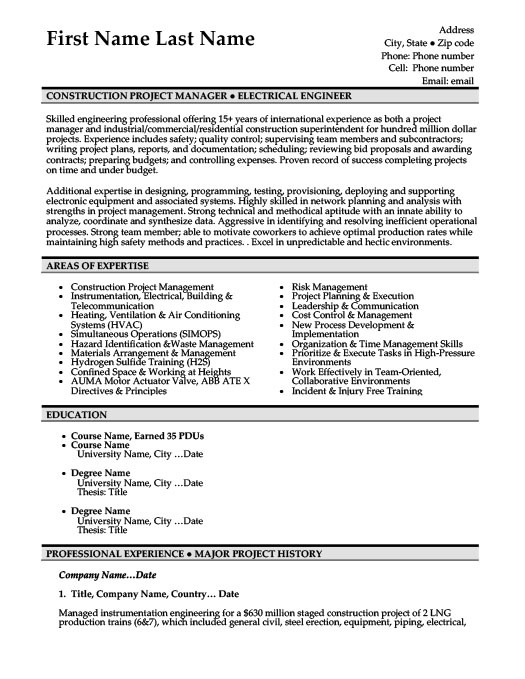 The next portion of the resume outlines the strength and expertise of the candidate using a bullet-point format that incorporates keywords applicable to the field of construction. Finally, employment history is outlined using a paragraph of project specifications and costs following bullet-point paragraphs incorporating the tasks accomplished within each role. 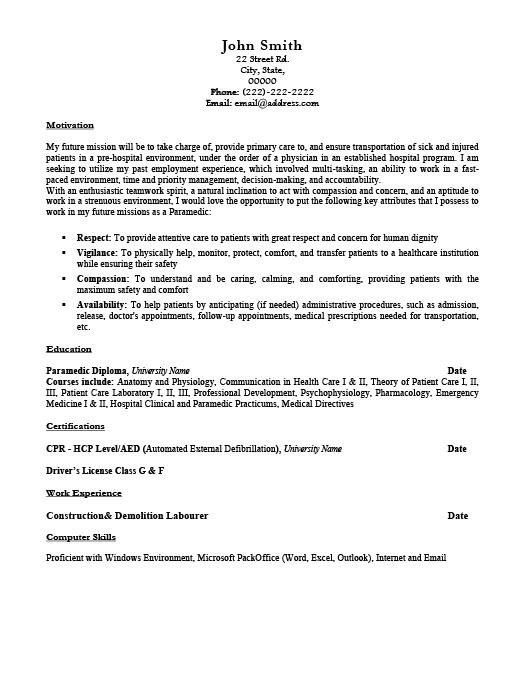 When applying for a project management or supervisory position, demonstrate your specialization and relevant work experience as listed in the resume example. By incorporating project specifications like type of construction and cost, you demonstrate to the employer your overall scope.